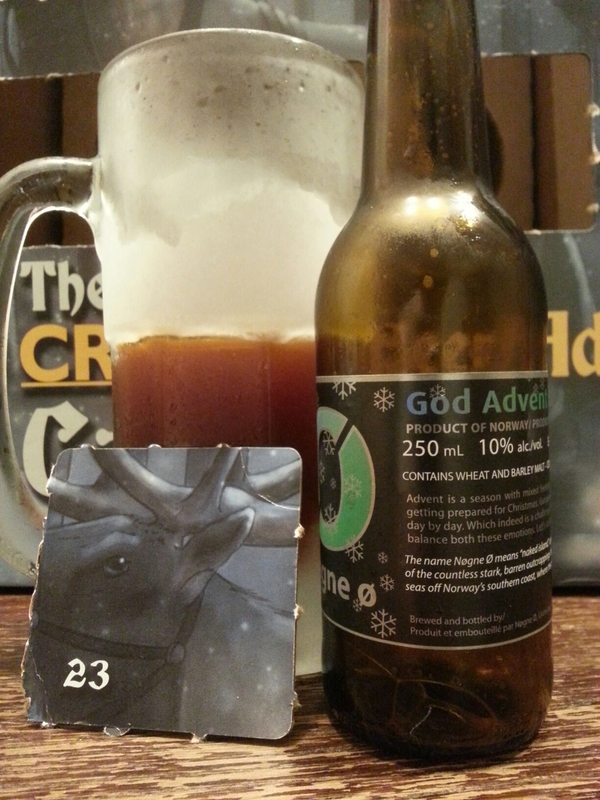 The Craft BeerAdvent 2014 Calendar Day #23 – God Advent (Norway) | Justintoxicated. Visual: Pours murky root beer brown with minimal dissipating head, thin ringed retention, steady scattered streams. Finish: residual malty sweet, alcohol heaviness. Summary: Big brown sugar barley malt bomb – heavy flavour yet still very drinkable. Canadian ‘ s are also lovers of craft beer.